Here's the thing... It really is December and it's time to FINISH WHAT YOU START in 2012. 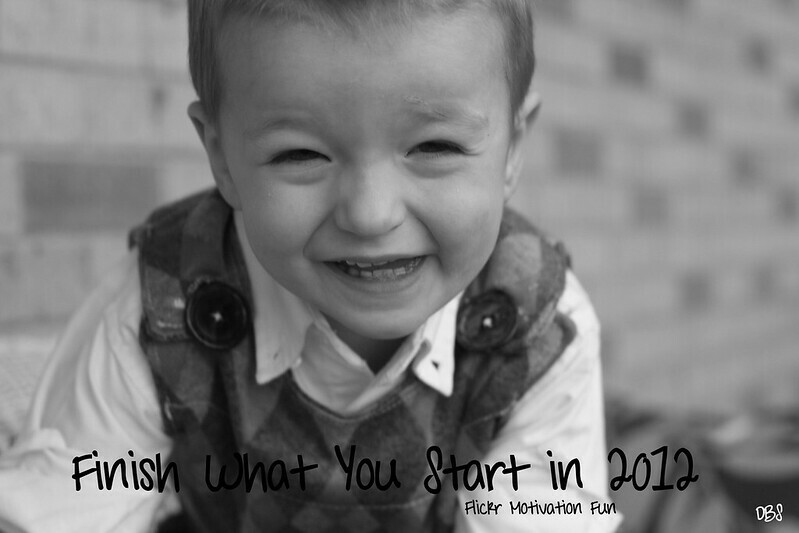 I've emailed some fun blog friends and asked them to help motivate us all to Finish What We Start in 2012, except I want them to do it in a non-pressure sort of way. I wanted whoever WANTED to, to do it, not add anything else to someone's plate this Christmas season. That got me to thinking... I cannot possible finish what I've started in 2012 if I'm spending my usual amount of time online and blogging, too. I think I struggle with this all the time anyways... create/blog/get inspired/create/blog/get inspired, etc, and maybe why I don't always just focus on what I need to be doing myself... anyone with me here? SO... I've heard back from several lovely ladies that if/when they get a project done, they will send me their post and I will have surprise guest posts throughout the month of December for you guys revealing what they've done along the way. BUT... I am taking a blogging break myself to focus on my own projects and getting them done. The only blogging I am going to do are if/when these ladies send me their own guest posts. (Jeez... just writing that out I know is going to be HARD for me!) Other than that, it's gonna be quiet. I'm pretty sure this is going to be SO tough to let the blog go for a bit, but I'll be back after Christmas to reveal how I spent my time getting my projects done, and reveal them all to you! If you want sneak peaks, you will have to follow DBS on Facebook... because I'm not on instagram just yet! When I get back, I'll have my finished projects to reveal, as well as, a blog yearly wrap up! Merry Christmas, and to all, a goodnight!